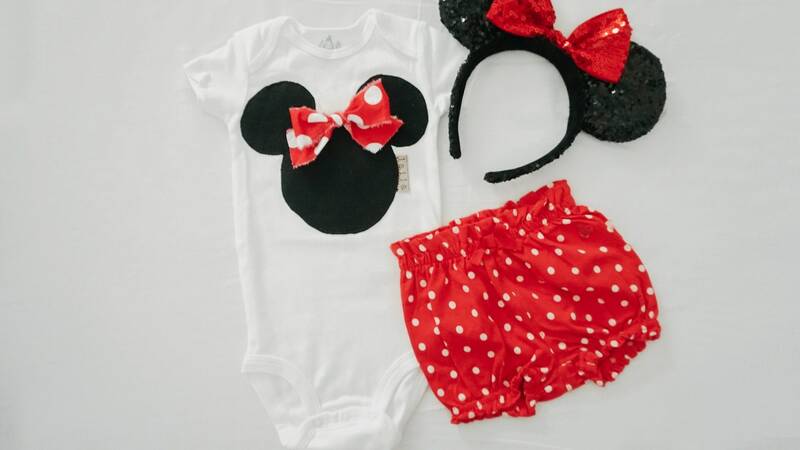 This sweet little bodysuit (or tee) is perfect for your little Minnie! We added a red and white bow to the tip top of the mouses head— it will fray in a sweet vintage type way. The name hang-tag is optional— if you’d like your little one’s name on there please leave it in the notes section at checkout or we will assume you do not want the name added. This bodysuit (*bs) is short sleeved. All sizes 24 months on down are listed as short sleeved or sleeveless bodysuits-- you choose at check-out. Also the big kid sizes come in short sleeved or tank tops! THE HEADBAND is NOT included with this purchase and is made by Disney. The bloomers shown are made by The Gap.